Even though we love our sweaters and cardis during the winter season, we love getting dressed up! What better way to do it than with all kinds of ruffles. 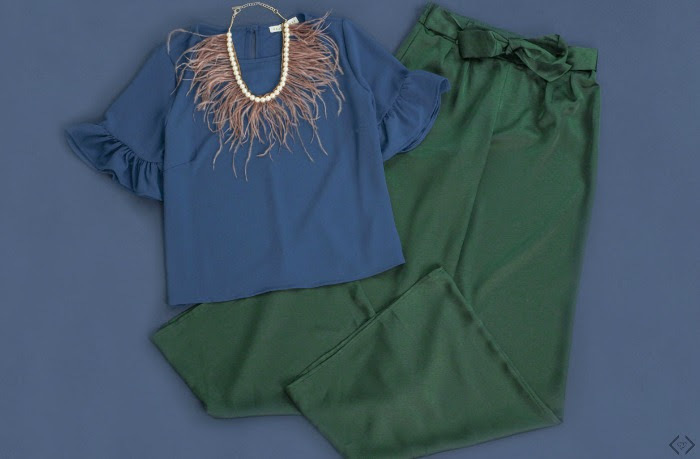 Ruffled tops are so popular this season. They’re easy to style, making it a breeze to dress up and look a little more polished during the cold days ahead. The best part? There’s a ruffle style for everyone…. seriously! From button downs to polka dots, and cold shoulders to lace, you’ll have a hard time walking away with just one top. And of course, the crazy low price will make it even harder. Everything is under $20!! Don’t forget that Valentine’s Day is just around the corner, and these styles are perfect for date night (and girls night). Ruffles are the perfect detail to complete your Valentine's look. The code is FRIDAYRUFFLE and it will take 40% off the lowest marked price with FREE SHIPPING. Prices start under $9, and everything is under $20! The code is valid 1/12 through 1/14. *Dress down the ruffles with distressed jeans and ankle boots. You’ll still look polished, but with a more casual vibe. *For a classic and dressy look, pair your ruffles with a pencil skirt and heels. It’s simple, but the ruffles will make your outfit stand out. *Go for a super chic ensemble. Faux leather jeggings with a ruffle top will give you a cool and trendy look. *For an everyday polished look, simple jeggings and a ruffle top is the way to go. You’ll still have that dressy vibe, but without the look of trying too hard.